You, know what? There nothing better than a hot dessert on a cold day, guess??? what??? 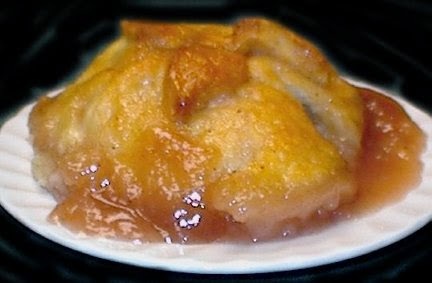 I am thinking about >>> "Baked Apple Dumpling" with a lot of concentrated flavor. These Dumplings will warm your very soul and make you smile. remember the classic animated film Snow White and the seven dwarfs...well Snow White baked apple dumplings, so she could stay with the seven dwarfs. process dry ingentant in food process until combined. add butter and shortening and pulse until mixture resembles wet sand. take the dough out process and place in bowl. stir in buttermilk and forms into a ball.place on floured surface and knead into a ball. place refrigerate about hour. raisins and three tablespoons cinnamon sugar mixture. peel apples and cut in halve. scoop out the core and seeds. be careful not to cut bottom part of the apple. divide the butter mixture among the apple halves filling the hollows. brush edge of dough square with .egg white and place apple cut side up, in center of each square. arrange dumplings on a baking sheet, brush with egg white. and sprinkle with cinnamon sugar. 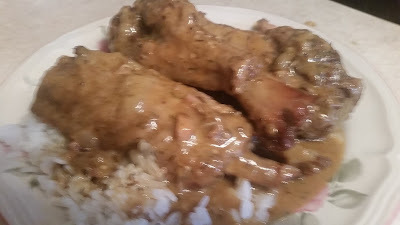 bake until dough is golden brown and juices are bubbling. bring cider water,sugar and cinnamon to simmer in saucepan and cook and cinnamon over medium high heat until thickened and reduced about 10 or 15 minutes.take off heat, and whisk in butter and lemon juice.